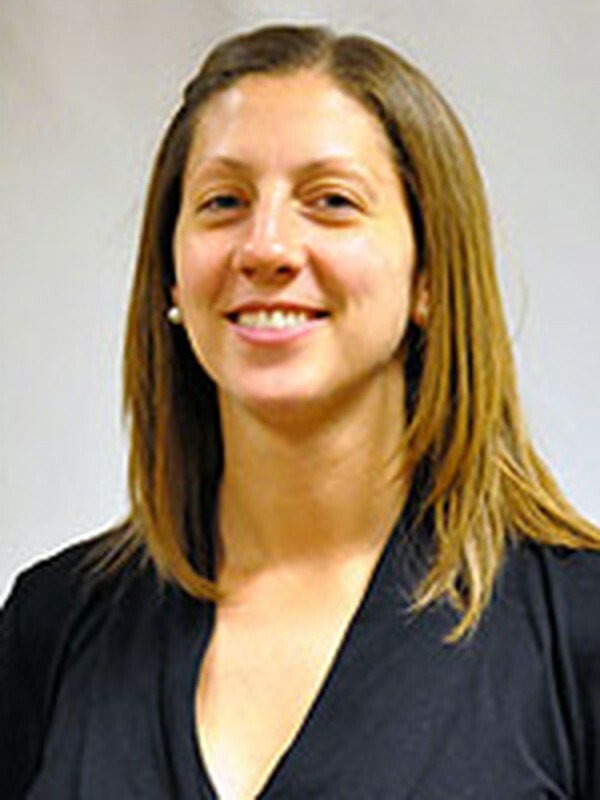 The women’s basketball coach, who just wrapped up her third season at the helm of the squad, has seen improvements in her record each year. After leading the team to a 7–18 record in her first season, Sain Knoche guided the Maroons to a 15–10 last year, before improving to an impressive 18–7 this season that included a UAA Championship. Quite simply, the coach has shown the ability to make her players better, and that skill is reflected in the record of the team. She has spent the past three years inspiring her players to leave their all on the court, and she will surely continue to do so as she earns our Coach of the Year honors. 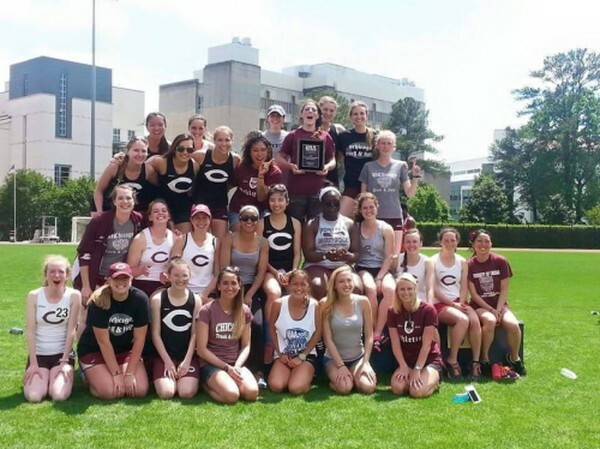 The 2014–2015 season for the women’s track and field team was a series of historic accomplishments. Namely, it was the first time in the program’s history the squad won not only the Indoor UAA Conference Championships, but also an Outdoor Conference title as well. The squad edged out the Wash U Bears in both meets to come out on top and etch their names in the record books. This past campaign marked the conclusion to the career of a true “Monster of the Midway”: fourth-year Scott Mainquist. 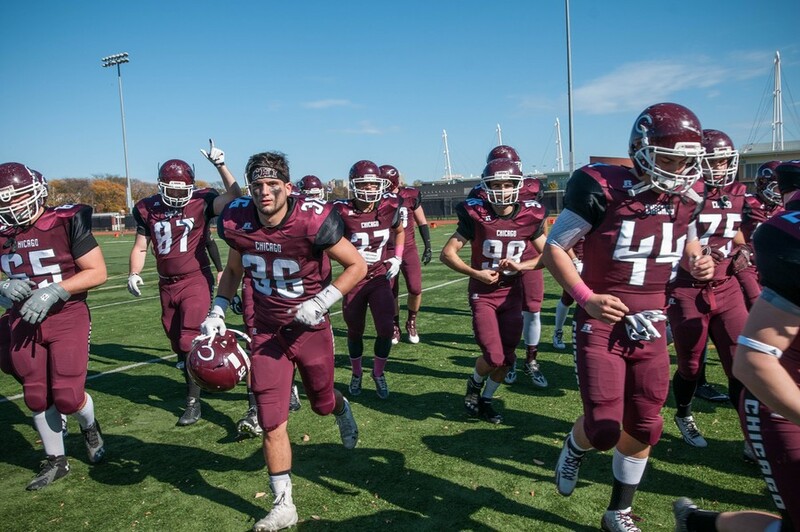 The star defensive lineman closed out his storied career as a Maroon with a remarkable season that included a trio of sacks and 43 tackles. 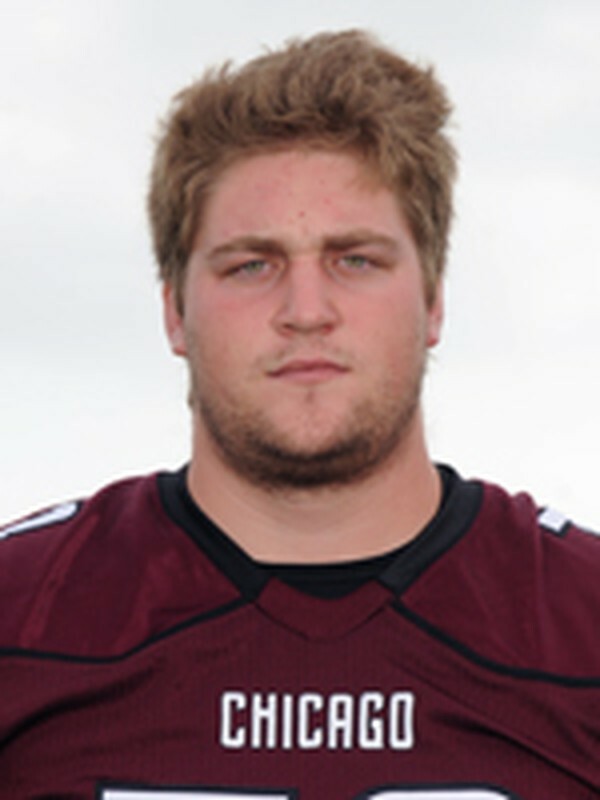 Mainquist’s performance was good enough to earn him a horde of awards and honors, including First-Team All-American from USA College Football, First-Team All-UAA, and UAA Defensive Player of the Year. With these accolades, we select Mainquist as our Male Athlete of the Year, an honor befitting of the fourth-year who has always left everything he had on the gridiron. Eirene Kim entered her final season as UAA co-MVP and the record-holder for most digs in a season along with most digs in a single game. It looked as though Kim would undoubtedly have another dominant year. Yet it was her courage in the face of adversity that demonstrated her full embodiment of the qualities present in a true competitor. 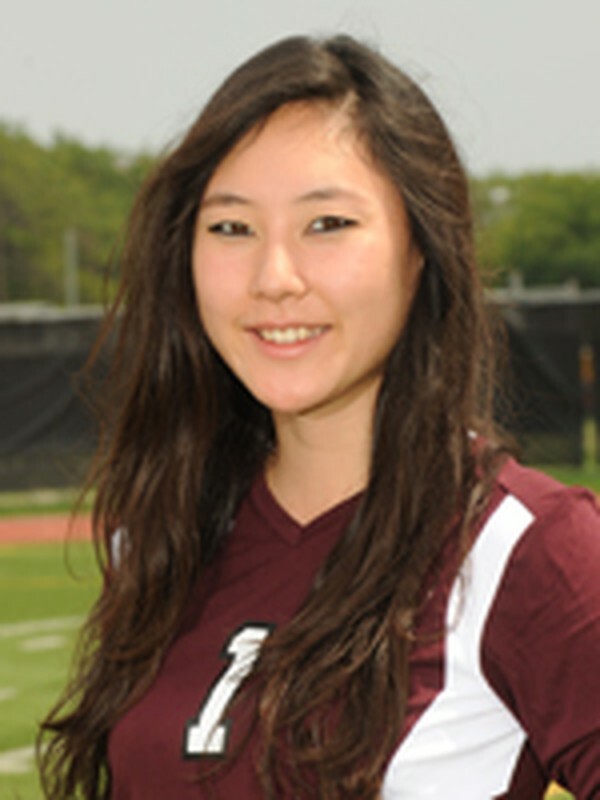 Tearing her ACL 20 games into her senior season, Kim chose to postpone surgery and to instead take on an intense rehabilitation program with plans of playing in the final games of her career. She succeeded, returning to the court with three weeks left in the season. Inspired by her unrelenting toughness, her team finished second in the UAA and made an appearance in the NCAA DIII National Tournament. 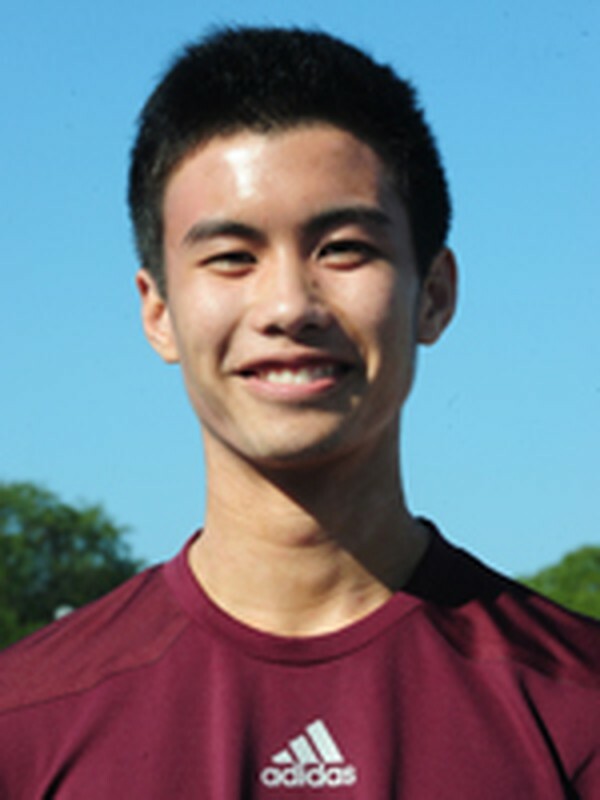 First-year Nicolas Chua burst onto the tennis scene this year in remarkable fashion. The young rookie earned six UAA Player of the Week honors, the UAA Rookie of the Year award, and the ITA National Championship. Simply put, Chua wasn’t just one of the best rookies in the country—he was one of the best players, period. The first-year made seasoned veterans look foolish on the courts this year, all while showing the poise, passion, and determination expected of a fourth-year, let alone a first-year. With this, it is our privilege to select Chua as the Male Rookie of the Year. Much like her male rookie counterpart, Iranpour did not need time to become comfortable playing at the college level. 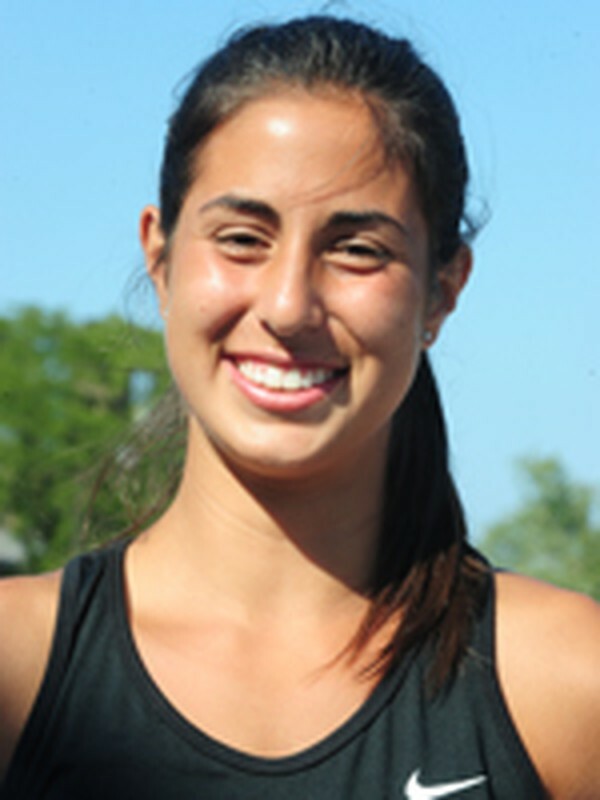 The Cleveland native placed second at the ITA regionals tournament before she even attended a class at UChicago. This was quickly followed by a third-place finish at the ITA National Small College Championships with partner Megan Tang. Iranpour capped off her rookie season by qualifying for the NCAA Championships in both singles and doubles. Heading into the competition seeded eighth, her skill and perseverance pushed her through to the quarterfinals of NCAAs, where she fell to the No. 1 seed in the country. Iranpour’s rookie season is one that promises good fortune for the program, and makes Iranpour the uncontestable Female Rookie of the Year.